Recently, I received an email asking me about a copy of Time, a limited edition collage piece published by C Press. 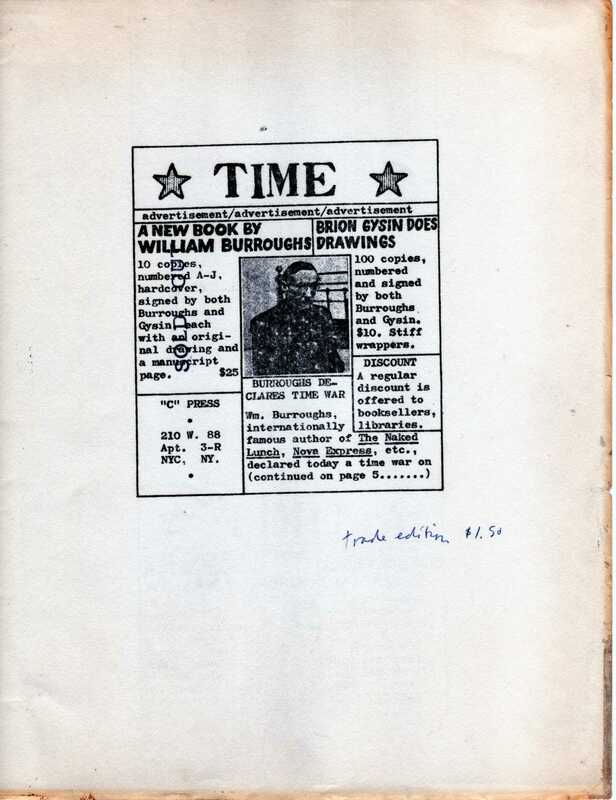 According to its copyright page, Time was published in 1965 in 1000 copies. 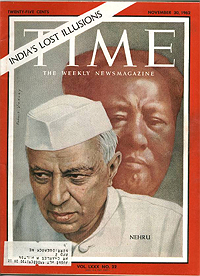 886 copies comprised the trade edition. These copies were unnumbered and unsigned. 100 copies were signed by Burroughs and Gysin. 10 copies numbered A-J were hard bound and contained a manuscript page of Burroughs and an original colored drawing by Gysin. 4 more were hors commerce. (This French term literally translates as “before business.”) An hors commerce print was used as the color key and printing guide that the printer would use to insure consistency of the print run. These pieces are usually printer’s proofs that are not for sale and are often used for promotional purposes. Ports of Entry: William Burroughs and the Arts provides images from the Joseph Zinnato collection which included an extensive archive of Time. Stephen J. Gertz wrote a great article detailing his experience with the Zinnato collection including a description of the Time archive. I have encountered several descriptions of copies of Time, signed and unsigned. Burroughs and Gysin signed the book together, as called for in the limited edition of 100 numbered copies. 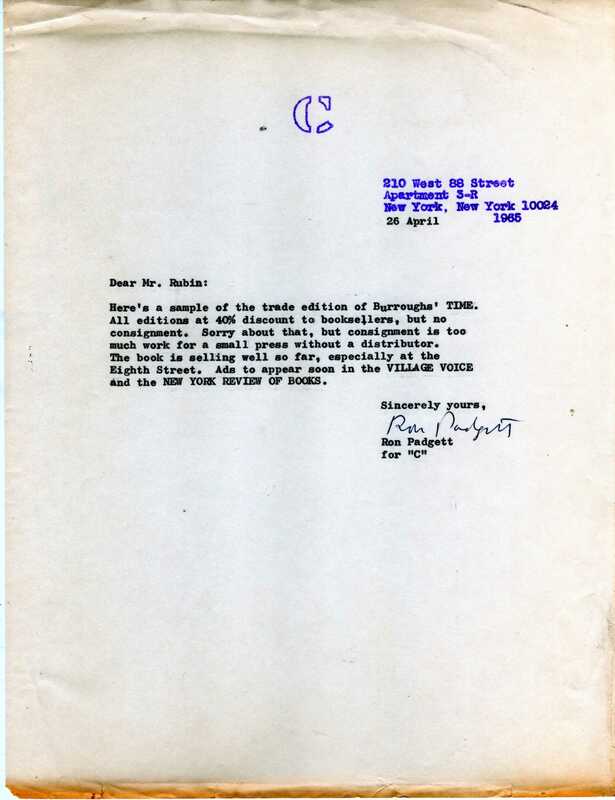 In isolated cases, Ted Berrigan, the editor, signed as well. My copy is signed by Burroughs, Gysin, and Berrigan. 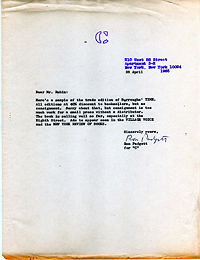 Berrigan inscribed the copy to Roger Richards, a Beat friend and patron. He was particularly close with Gregory Corso, who lived with Richards during his later years. I have never seen one of the 10 lettered copies. UCLA possesses a copy (D) in its rare book room. 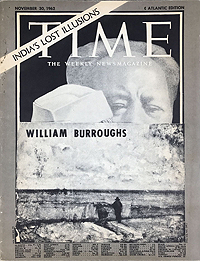 According to Ports of Entry, “Burroughs created his own version of Time magazine, including a Time cover of November 30, 1962, collaged over by Burroughs with a reproduction of a drawing, four drawings by Gysin, and twenty-six pages of typescript comprised of cut up texts and various photographs serving as news items. 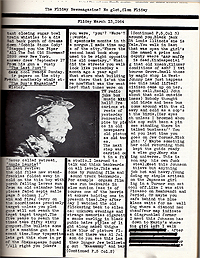 One of the pages is from an article on Red China from Time of September 13, 1963, and is collaged with a columnal typescript and an irrelevant illustration from the ‘Modern Living’ section of the magazine. A full-page advertisement for Johns-Manville products is casually inserted amid all these text; its title: Filtering.” The “Fliday Newsmagazine,” “Proclaim Present Time Over,” “File Flicker Tape” are some of the texts. 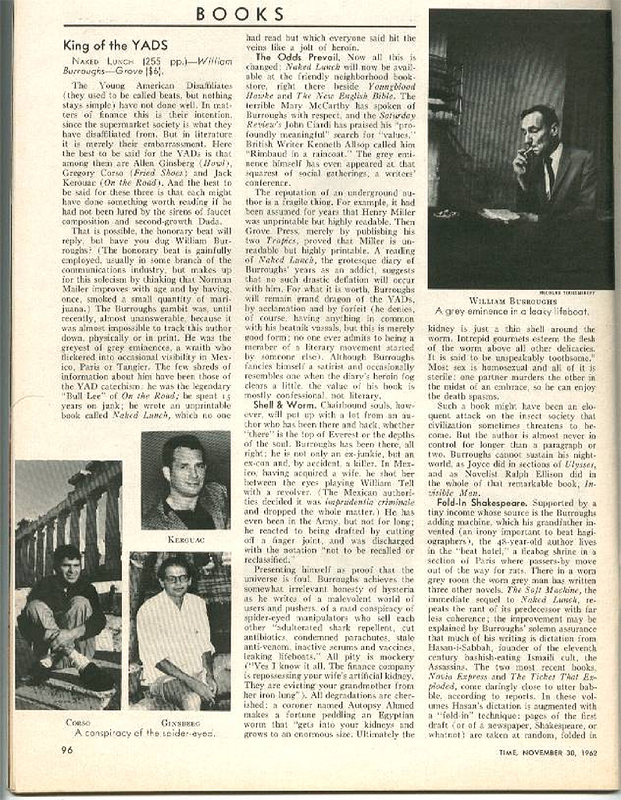 The November 30, 1962 issue of Time was chosen, because the magazine reviewed the Grove Press edition of Naked Lunch in an article entitled “King of the YADS” (Young American Disaffiliates). The looming face of Mao symbolizing the threat of Red China adds an aura of nuclear disaster. Time, along with Burroughs’ contributions to My Own Mag, is a stellar example of Burroughs’ attempts to merge the collage technique of art with the cut up technique of literature. 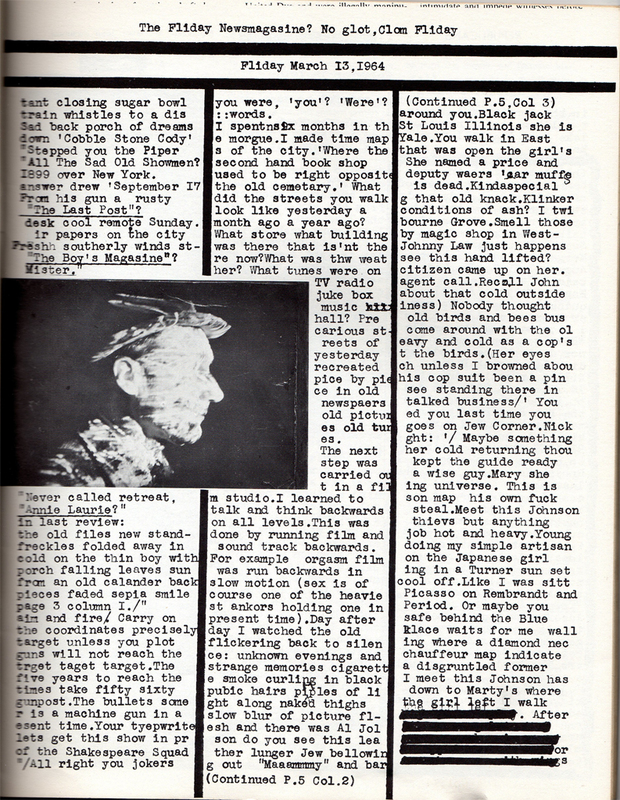 Time is the fullest expression of Burroughs’ experimentation with the newspaper and magazine format that is part parody and part critique as well as an expression of a new format and form capable of expressing a greater truth than fiction or journalism separately. 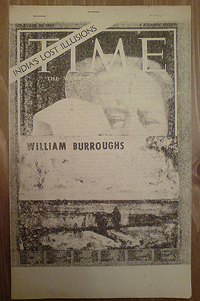 Time goes to the heart of Burroughs’ distrust of the mass media manipulation of image and news. Many think of Burroughs the visual artist as a flowering of his later years, but as his scrapbooks and pieces like Time attest, Burroughs delved into the visual arts early in his creative life. Elements of surrealism, the collage and assemblage art of Rauschenberg or Wallace Berman and his circle, Pop Art, and Mail Art are all present in Time. All this is an introduction to the question I received. Basically, the collector wanted to know if he possessed one of the 100 signed copies of Time. He sent me an image of his copyright page with the Burroughs signature in pencil. Attached is his scan. The issue number is written incorrectly and is not stamped. 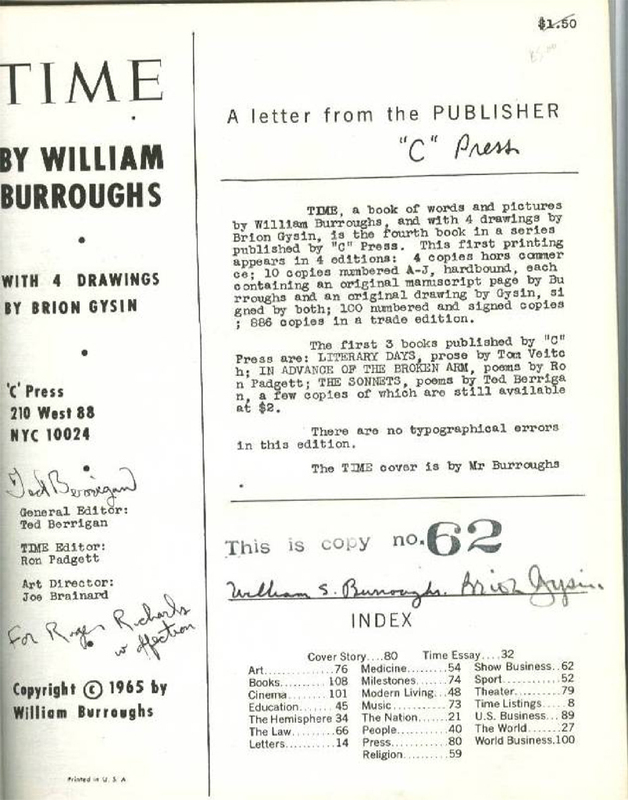 In addition, only Burroughs signed the copy and not Gysin. Both Burroughs and Gysin signed the 100 copies. See my copy. 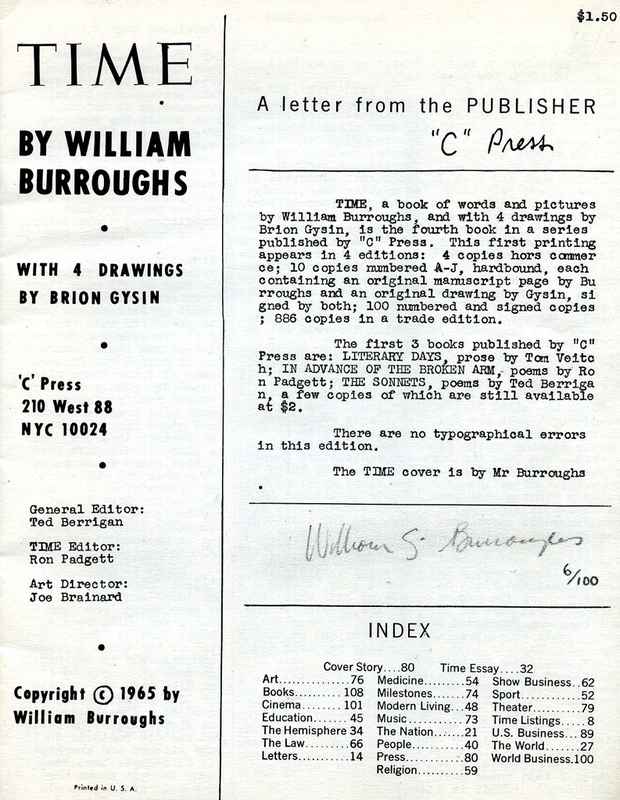 What I think happened is that the collector received one of the unsigned, unnumbered 886 copies that somebody, not Burroughs, then numbered and signed with Burroughs’ name. The signature looks suspect especially the William. See my webpage for examples of Burroughs signature over time. I have never seen Burroughs sign in pencil, particularly Time. The numbering of the signature is flat out wrong. Why would Burroughs number his signature if he happened to sign this copy at a later date? 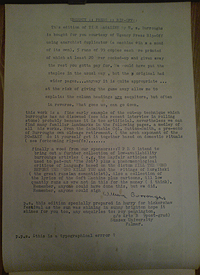 The person who signed it obviously saw Burroughs’ signature before but could not reproduce the numbering of one of the true 100 copies. 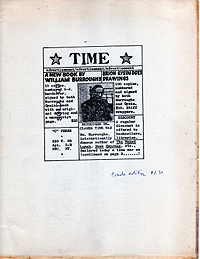 Time was bootlegged in 1972 by Roy Pennington as an Urgency Press Rip Off. According to Maynard & Miles, Pennington published the bootleg for the Bickershaw Festival. The bootleg was not staple-bound like this forged copy, but stapled at the top. I have never seen the bootleg, so if anybody has a copy please send an image and description. Written by Jed Birmingham and published by RealityStudio on 20 March 2006. Updated with Time archive on 9 January 2008. Updated with Time bootleg on 21 May 2008. Thanks to Darin Scope for the pictures of the bootleg. 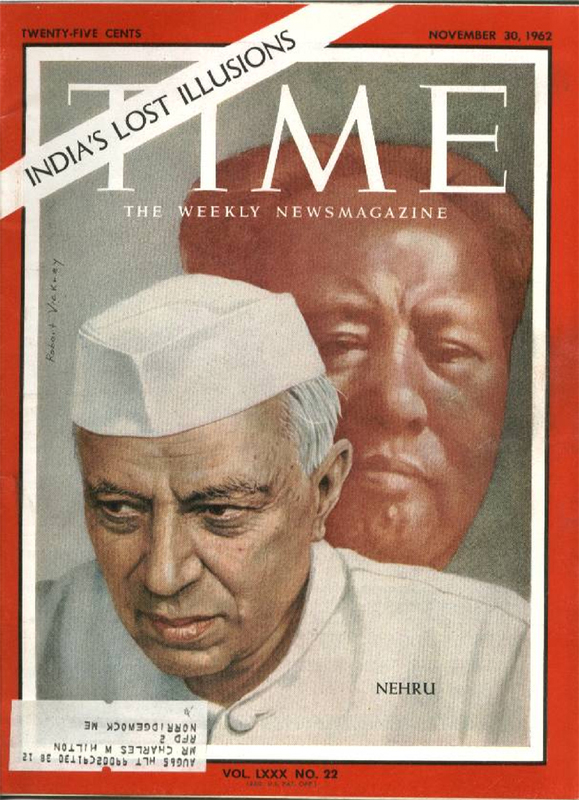 I have been able to confrim that the issue of Time in question was undoubtedly a forgery. All copies signed and numbered 1-100 were signed by bohh Burroughs and Gysin in the presence of Ron Padgett. The number was stamped not handwritten in all cases and all 100 numbered copies bear both Burroughs and Gysin’s signature. I’ve got a copy of the ‘Bickershaw rip-off’ as well as other rare Burroughs that I’m willing to part with Is anyone interested? Sorry, I’ve been out of the loop. But I still have the ‘Bickershaw rip-off’ and other Burroughs for sale. It is not particularly important but in the grand scheme of completism can I just point out that the Time original cover as posted above is a USA edition whilst our Bill used the overseas Atlantic Edition (see top right hand corner and the prices for various locations at the bottom). What I’d like to find is the source for the painting intervention..it is a van Gogh, isn’t it? From another Time magazine? This morning I answered my own question when a copy of the Sept 13 issue e-bayed itself through the letterbox. I’ve not checked what Ports of Entry says in full about what was used from this issue but I would be surprised if they point out that the intervening colour painting comes from this very ame Sept 13. Why do I say I’d be surprised? Because if it had been noticed and commented on then I think they would have made more about it; the caption for this Tuscan Impressionist “Seascape with Cloud Effect” says …. (wait for it) …..”….painters..tried to probe depths of reality by taking apart and reassembling colors and forms.” Nothing is ever completely random with Mr William Burroughs, our man at the Reality frontline, calmly wielding a Stanley knife.